Request Free Sample Flexi-Tile Leather Look hidden interlocking flexible tiles. 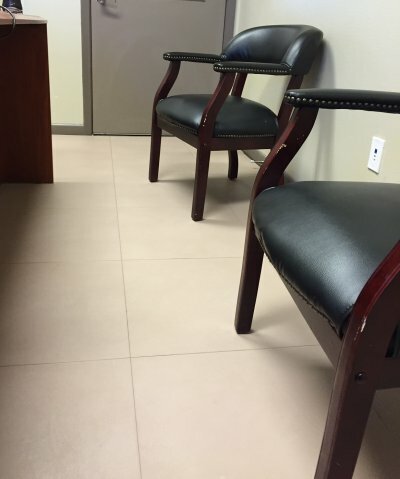 Flexi-Tile Perfection Floor Tile Leather Look has a smooth leather texture surface, and is a flexible hidden interlocking tile with a virtually water tight seam. Easy Do-It-Yourself installation, installs over many types of existing sub floors with very little or no floor preparation. No adhesive needed in most applications, be sure to read our Installation Tips. Made from Virgin Polyvinyl that is carcinogen free material. Flexi-Tile Interlocking Tiles offer a luxury premium grade flooring solution for residential, commercial and industrial applications. The simplicity of the hidden interlocking system makes installation quick and easy! A flexible, yet tough interlocking floor tile has been developed to provide an “instant” self laying floor surface, for use in a wide variety of applications. The material is resistant to oil, petroleum, grease, anti-freeze and most chemicals.